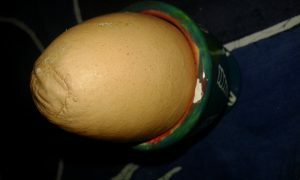 Should I eat this egg? 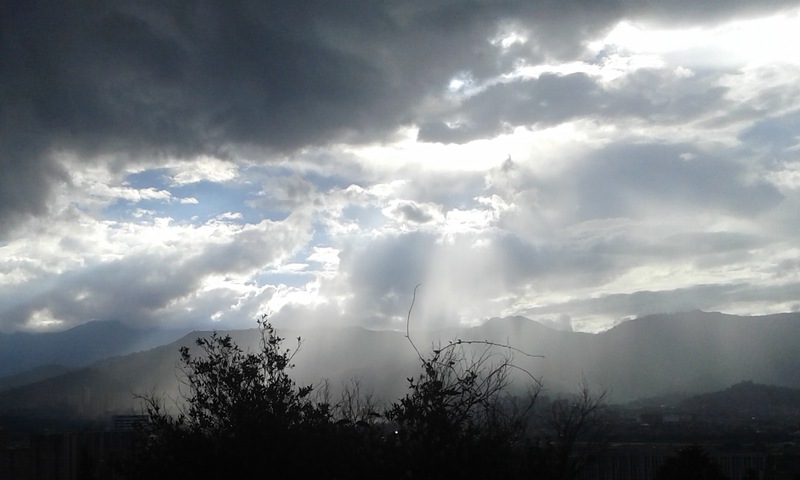 The glory of the Andean skies from my window, yesterday afternoon. If you don’t know, Narcos is a Netflix series about the rise and fall of Pablo Escobar and the Medellín cartel. To demonstrate why you shouldn’t watch this series, I propose the following thought experiment. Imagine the worst day in the your country’s recent history. A day that involved multiple tragic deaths, for example. Now imagine that day repeated over and over again for several years. Imagine that you lost someone you loved or admired on one or several of those days. Now think about what your country is famous for around the world (whisky, men in skirts and the Loch Ness Monster, in my case). Imagine that your country is only famous for one thing, the production and export of an illegal drug. You know that your country is much more than that, that it is beautiful and rich in culture and resilient people, but everywhere you go around the world people will always ask first about that white powder and the war in its wake. Finally, imagine that a group of mainly foreign actors and producers decide to make money by depicting on screen the most violent episode of your country’s recent history and focusing, not on the victims, but on the main perpetrator. You know how in English we say, “I was in my element,” to mean, “I felt really at home, I felt comfortable”? Well, today I found out how to say this in Spanish. My colleague was telling us about a trip he had made at the weekend to a gold-mining town in the north of Colombia. The trip involved hours on bad roads and river-crossings in boats, basically all the things we love. “I was in my sauce,” he said. 1. Colombia is the world’s biggest producer of emeralds. 2. Colombia is the only country in South America with two coastlines (the Atlantic and the Pacific). 3. There are 80 indigenous languages spoken in Colombia. 4. Two Colombians have won Nobel Prizes, the author Gabriel García Márquez won the Nobel Prize for literature in 1982 and the current president, Juan Manuel Santos, the Nobel prize for peace this year . 5. Colombia is one of the most bio-diverse countries on the planet, ranking first in bird and orchid diversity. 6. Colombians hate it if you call their country Columbia. 7. Colombia is about twice the size of France. 8. Medellin, Colombia’s second city, is known as the City of Eternal Spring because temperatures hardly vary throughout the year. 9. Panama was part of Colombia until 1903. 10. Not everything in Colombia has to do with drugs. I got chatting to a blind guy on the metro the other day. We talked about different things: his blindness (from an infection a few years ago), how much the metro helps him get around the city, my impressions of Colombia. In Colombia, everyone’s a poet. One day I was going to church in a taxi and I commented on the “ciclovía”, the lane of the main road that is closed to cars every Sunday so that people can run and cycle along it. From that beginning we got on to talking about sports and which sports we liked doing and which sports we liked watching and then we got talking about swimming pools and whether they were clean. “A few years ago I worked in a finca (a house in the country) and when I got there the swimming pool was disgusting. I cleaned it [insert detailed description of the cleaning products and processes here]. And I got it lovely, with crystal clear water and people came from all around to swim in that pool. In the evenings, when there was no one there, my wife and my children swam in the pool. So she went, and thank God, she found a flat right away. That was a Thursday and that weekend I left the coutry house and came to Medellín and got a job driving a taxi almost immediately and I’ve been doing that ever since. On our camps we take some time to ask the leaders to evaluate our curriculum (the Bible lessons we send out every couple of months). We ask if anything significant has happened as a result of the lessons and here’s what one leader told me last weekend. For a variety of reasons I travelled on my own to the camp on the Coast this weekend. The highlight of the journey was being called “patroncita” by the taxi driver on the last leg of the journey. This is pretty much untranslatable but if you know “patrona” means boss and the “ita” ending is a diminutive, you can maybe work it out. Anyway, my plan was to travel back to Medellin by bus with my colleague Maria, who had bought her return ticket when she set off for the Coast on Thursday night. Someone “de confianza” (=trustworthy) was dispatched to buy my ticket on Saturday afternoon. When we got to the bus station on Sunday afternoon we met one of our Children’s Club leaders, who was travelling to Medellin to sit an entrance exam at the public university here. He was from an indigenous background and this was the first time he had ever travelled outside his local area. “What number is your ticket?” I asked Maria. Oh, and the camp was great.